Address the root cause of your health issues? Improve your health without the use of pharmaceuticals? 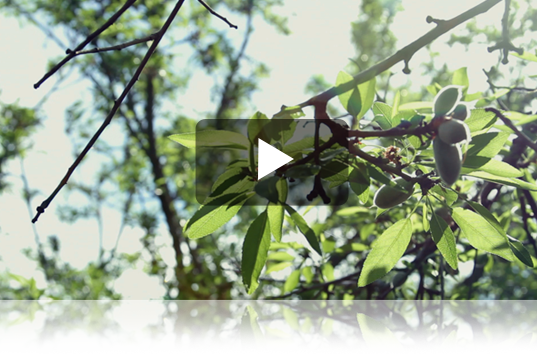 Restore the innate healing ability of your body with nutrient dense food? Indeed, and much more. This is not just another book on health. 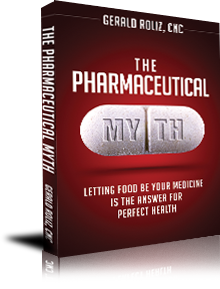 The Pharmaceutical Myth is the result of an obsessive quest for perfect health, spanning centuries long, to ignite the innate healing ability of the human body. 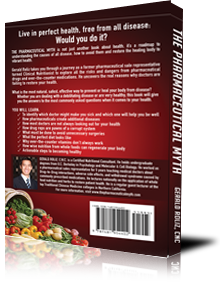 It contains the collective wisdom of hundreds of traditional healers, holistic doctors, nutritional consultants, and thousands of patients who have successfully changed their lives to eradicate their diseases and dependence of side effect producing pharmaceuticals. For all health challenges, what are the real factors that help your healing body to becoming well? Thousands of healed patients later, this book contains the answers for both adults and children. You didn’t inherit bad genes, bad germs, or bad luck. You inherited a body that’s missing nature’s tiniest ingredients to see immediate healing results that compel you to continue your path to living in vibrant health and high spirits. That’s exactly what The Pharmaceutical Myth reveals.